1. The heavy impurities discharged from the Low Density Cleaner will settle under the action of gravity and enter the hopper. 2. Under the pressure of the flushing water, the light fiber slurry is discharged upward from the good slurry port, and heavy impurities continue to sink to the sediment tank. 3. The heavy impurities and the remaining fibers in the sediment tank are further separated under the washing action of the lower flushing water, and the fibers are recovered and accumulated with heavy impurities. 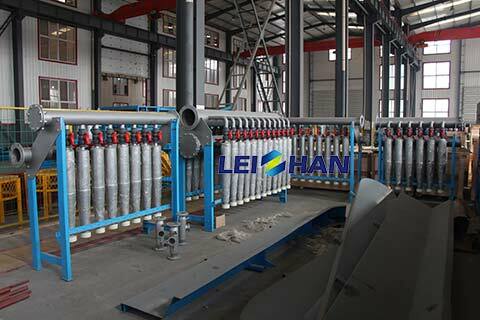 4, according to the impurities in the slurry, set a regular time slag, electromagnetic valve open to discharge impurities.